Early this morning the ISS and a piece of debris from an old Russian weather satellite almost gave one another a bro-like chest bump. 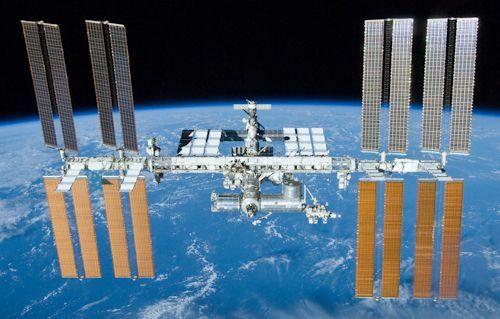 Astronauts had an hour and a half to secure as many of the ISS’s individual modules and get themselves hunkered down into their escape pod (the Soyuz capsule attached to the ISS) and nervously wait to see how it would play out. While that’s the official word there are a lot of humans on the ground declaring that that’s what NASA wants you to believe and that the “space object” was actually a UFO doing a drive-by of the ISS. Thankfully the debris or whatever it was went by without incident. NASA gave the astronauts the all-clear a few minutes later. Or just a UFO flying by. YouTube user Daveachuk has created a late-night, where-do-I-fit-in-the-universe, pondering-life-late-at-night video from over 400,000 photos as well as data taken by the Spitzer Space Telescope. Back in 2006 the New Horizon space probe left Earth on mission to visit Pluto. On July 14th of this year, New Horizon will finally reach its destination and give us a closer look at the piece of rock that was once on the a-list of planets in our neighborhood. In January New Horizon was brought out of hibernation in preparation for its approach to Pluto. As photos began coming back showing Pluto in more detail than we’ve ever seen, scientists were a little bummed they weren’t seeing much of Pluto’s little moon-buddy, Charon. That all changed as scientists merged photos from the RALPH and LORRI cameras onboard the probe. Suddenly they could plainly see the photobombing moon of Charon in the background of the Pluto photos they already had. New Horizon’s mission includes mapping Pluto (and possibly Charon) and gathering as much info as possible about Pluto. Once it heads away from Pluto it will try to collect information about any object it can come across in the Kuiper Belt before moving into who-knows-where. MARS ONE: Mars-Bound Candidate Walks Away – Pulls Back the Curtain Revealing a Mess or is it? Since the first announcement of the Mars One program, people have either picked up the story and hailed it with headlines trumpeting our colonization of the red planet or they’ve been standing there with confused looks slapped on their faces. Media outlets have just accepted that Mars One is taking us to Mars and we should all be excited. By an actual finalist who’s basically packed his bags and walked away from it all. Joseph Roche, one of the final candidates for the one-way trip to Mars, has walked away from the program recently and is revealing everything that he’s experienced during his time with Mars One. Originally media and Mars One reported that 300,000 potential one-way ticket holders had applied. Roche claims it’s less than 3,000 applicants. Mars One boasted of the lengthy interview process. Roche says it came down to a 10 minute Skype interview. Mars One claims that there are billions behind this whole program. Roche revealed that applicants contribute financially by spending money on Mars One merchandise to earn points. Mars One’s selection process sounds more like a cross between filling out a Jelly of the Month Club application, joining Amway and learning that QVC is going to launch one in every ten callers to the moon if they also purchase the bonus steel cutlery set. So what is actually happening at Mars One? Who knows. But even with the two year delay Lansdorp announced? The first Mars One unmanned mission is only five years away. Or we’re going to be crossing our fingers and holding our breath when those first four astronauts are sitting in a rocket aimed at the sky. Posted in Mars, NASA, Rocket, Rockets, Scam, Science, Space | Comments Off on MARS ONE: Mars-Bound Candidate Walks Away – Pulls Back the Curtain Revealing a Mess or is it? What was supposed to be a hopeful three month mission has quietly stretched into an unbelievable journey. Opportunity bounced onto Mars back in 2004. During that time the little rover has traveled twenty six miles and transmitted a lot of data back to help us understand the ancient history of that planet and it’s make up. The video above will let you relive the excitement of the crew that put “Oppy” up there and you’ll probably smile and hi-five your nearest coworker when you those first transmitted photos, from Oppy’s eyes to ours, pop up on the screen. It’s a pretty awesome moment in the history of space exploration. For those that haven’t seen it or listened to the last episode of WeirdThings where we discuss what happened. Here’s the video of the Falcon rocket going all Hollywood explosion-ish during its attempted soft landing on the autonmous barge after returning from a resupply mission to the ISS. According to posts on Twitter by Musk, a shortage in hydraulic fluid used by the stabilizing vanes caused the rocket to land in an almost horizontal position. Once the rocket hit the deck of the barge and leftover fuel in the take ignited? An explosion so awesome Michael Bay just hung his head in shame. In two to three weeks we’re pretty sure there’ll be cigars and champagne all over SpaceX celebrating the successful landing of a completely reusable rocket. The jury’s out on what’s causing the sound (which is far, far below the level of human hearing) and a whole lot of theories are being tossed around about it. Everything from magnetic fields to ionization of particles shearing themselves from the traveling comet is suspect at this point. Until there’s an answer, which probably won’t be soon because space is just weird, we’re going to assume that the comet is either harboring a Predator who’s looking for payback, the mobile rehearsal space for a marimba-playing Cantina Band member or that we’ve discovered the dial-up connection for an alien race. There’s always that one house on your street. You know…the one that looks like the sun is continuously exploding each night during December? C. Knows something about the future of mankind that we don’t. Either way it’s pretty amazing and there’s probably of a lot of secretly jealous homeowners reading this right now. U.S. 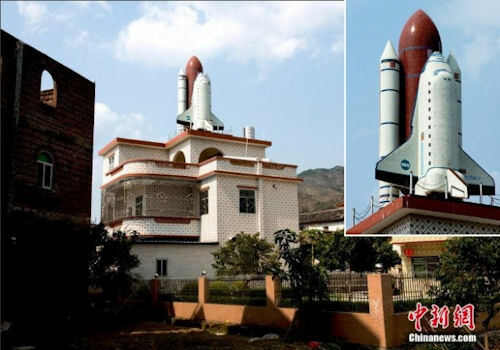 Leads Applicants in One-Way Ticket To Mars! The totals are in for all the people who are ready to get off this rock and get to colonizing Mars. 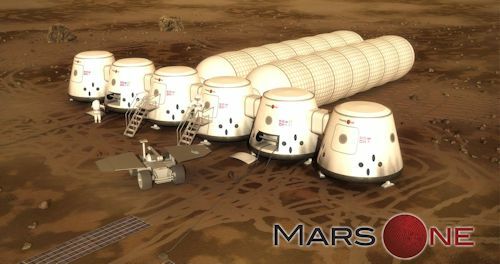 Mars-One, the program that’s planning on getting people to Mars to begin the colonization process in the very near future, have tallied the applications for the first round of potential astronauts/colonists. Leading the pack in applicants? The United States with 47,654 applications. That’s either a testament to the entrepreneurial spirit of the country or a big gauge that people are just overworked and ready for a change of pace even if it means jettisoning themselves into space with no return ticket. Mars-One will gradually whittle the applicants down to a very small few over the course of the next several years ultimately arriving at a small group of brave, or possibly crazy, individuals who will be shot out to Mars to put down humankind’s first ‘burbs on another world in 2023. Posted in Astronaut, Mars, Space | Comments Off on U.S. Leads Applicants in One-Way Ticket To Mars! SpaceX keeps coaxing their Grasshopper rockets into longer jumps as they continue to develop their reusable rocket program. In the latest test, shown in this video, SpaceX’s Grasshopper rocket takes another leap into the history books by making a longer jump away from and safe return to the dead center of its launch pad. Seriously. Watch it! For those who’d like to know why all the space nerds and getting so excited? Think of the two little rockets attached to the giant fuel tank that the shuttle would piggyback on. Two minutes into the flight they detach, deploy multiple parachutes and land about 150 miles off the coast where a small army of a recovery crew retrieves the boosters, using two specially designed boats. During this whole process motors inside the boosters are used to basically blow-dry the interiors from all the ocean they gulped during their time at sea. Turnaround time is a long process. Along comes Elon Musk with the idea of a booster that’s like a homing pigeon. It goes up, does its job and then instead of helplessly landing in the middle of the ocean like Bambi on an ice pond, it flies itself back home, landing on its own little pad like a puppy playing frisbee and waiting for the next throw. The Grasshopper eliminates a lot of space taken up in an old-school booster for chute deployment systems, allows for quicker turnaround time and stops about a hundred people from having to towel off a couple of giant booster rockets. Move us into space faster and more frequently than ever before. 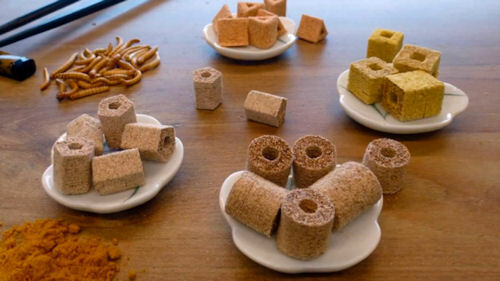 NASA Developing Printed Food for Astronauts! 3D printng is the ‘it’ thing right now. It seems like nothing can’t be printed. We can print plastic toys, metal parts and even cell tissues using additive manufacturing. So what’s next? food for astronauts. Currently astronauts eat foods that lose their micronutrients during the process they go through to become official space-food. Eventually the prepackaged, off-the-shelf, single-servings the astronauts nom on now will make way for customizable recipes. Anyone else excited to witness the first live-stream of a 3D-printed Thanksgiving dinner…in space? Us too. Posted in 3D Printing, Astronaut, Experiment, Food, NASA, Science, Space | Comments Off on NASA Developing Printed Food for Astronauts! NASA plans to put a line for $100 million in an upcoming budget for an asteroid snatching mission with a total expected cost of $2.6 billion. The goal is to grab an asteroid and move it into a lunar orbit so we can get a closer look. What do you think? At a starting cost of $2.6 billion (and that’s the floor) would we be better off with an X-Prize style initiative? Given the success of NASA’s Commercial Orbital Transportation Services program, is there something to the idea of getting commercial enterprise to offset the costs? 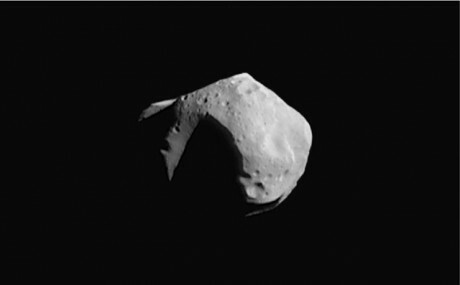 via Bold asteroid-snatching plans to appear in NASA 2014 budget | Ars Technica. Is this Green Meteorite from Mercury? It’s green and came from outer space. While scientists haven’t completely ruled out a Kryptonian origin, they think this rock may in fact be the first piece of the planet Mercury ever found on earth. Sheared away in a collision billions of years ago, further tests will be required to tell us if it came from the first planet, but right now prospects look good. 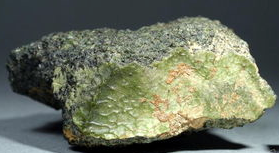 Green Meteorite May Be from Mercury | Space.com. Posted in Space | Comments Off on Is this Green Meteorite from Mercury? Dream big kids as you check out this retrotastic video from NASA on building colonies in space. Besides the awesome music, my favorite part is NASA’s recommendation for getting a better growing season from your crops on the space station – just increase the amount of CO2. Oh, the 70’s! Interactive Look Inside Space X’s Dragon Capsule! If you’ve been following WeirdThings for any length of time now, you know that every time space exploration is mentioned we grab our big, pointy-fingered, foam hand and start fist-pumping toward the heavens. Most of us are never going to get the chance to hop inside any of Space X’s amazing space vehicles and just sit there like little kids in the coolest toy store ever. Everyone make a sad face. But now you can give a big hug to our old buddy the Internet for helping Space X provide us with a panoramic view of what it’s like inside the Dragon capsule! Go visit, take a look around and linger (images will transistion revealing airlocks, storage lockers opening and more) over the interior of a vehicle which is heralding one amazing future. 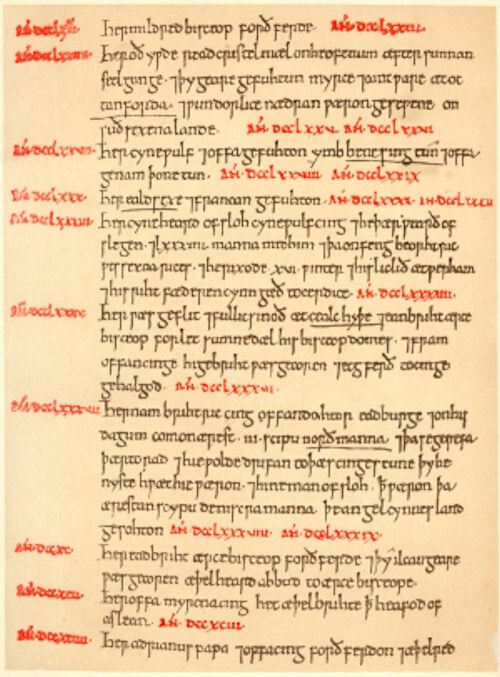 Centuries ago, in AD 774, some guy in Britain is keeping a written record of life’s goings-on. In that year he mentions witnessing something strange…a weird “red crucifix” hanging in the sky. Fling yourself forward in time. Researchers are unable to explain a strange spike in carbon 14 levels that manifested in unique growth rings in Japanese Cedar trees that year. UC Santa Cruz biochemistry major Jonathon Allen was listening to a Nature podcast when he heard about the trees and something clicked. According to Allen’s theory, the spike in carbon 14 that caused the change in the ring patterns of the trees and the ancient text reporting the glowing crucifix in the sky, which seemed to occur around the same period in time, may have both been the same incident…a possible supernova or massive solar flare. Most scholars that Allen has presented his theory to seem to agree that some kind of massive stellar event took place back in the eighth century and that both nature and the author of an ancient text witnessed it. You are currently browsing the archives for the Space category.